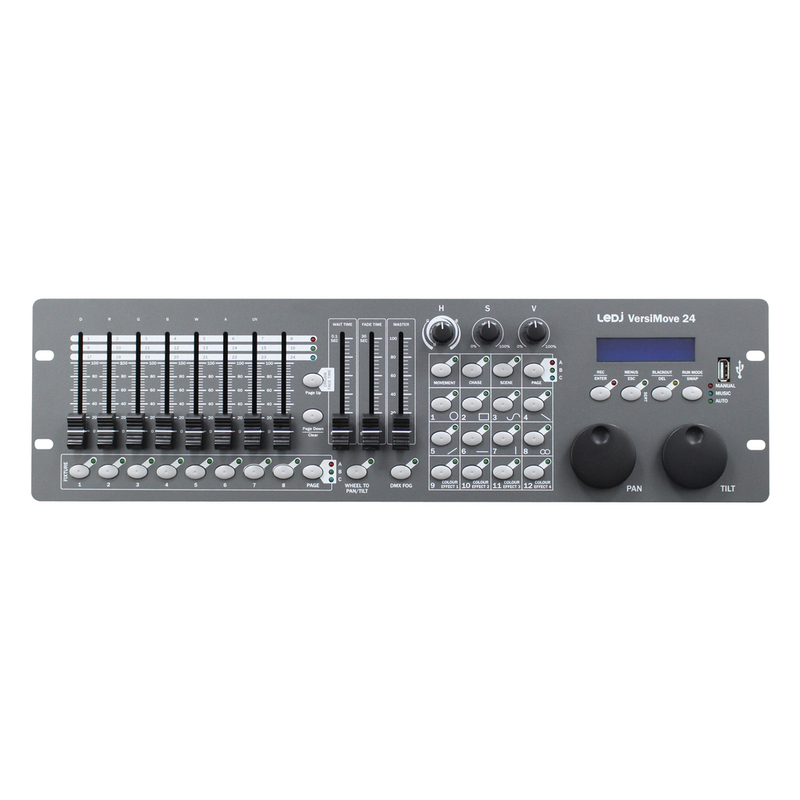 The LEDJ VersiMove 24 lighting controller is a 19" rackmount DMX lighting controller that is able to control up to 20 intelligent lighting fixtures. Use the VersiMove 24 to control fixtures such as moving heads, par cans, dimmers as well as fog and haze machines. This DMX controller is great for small to medium sized nightclubs/bars or theatre and live stage use. The VersiMove 24 from LEDJ is designed to offer control of intelligent lighting fixtures including dimmers, moving lights, LED par cans and haze machines. 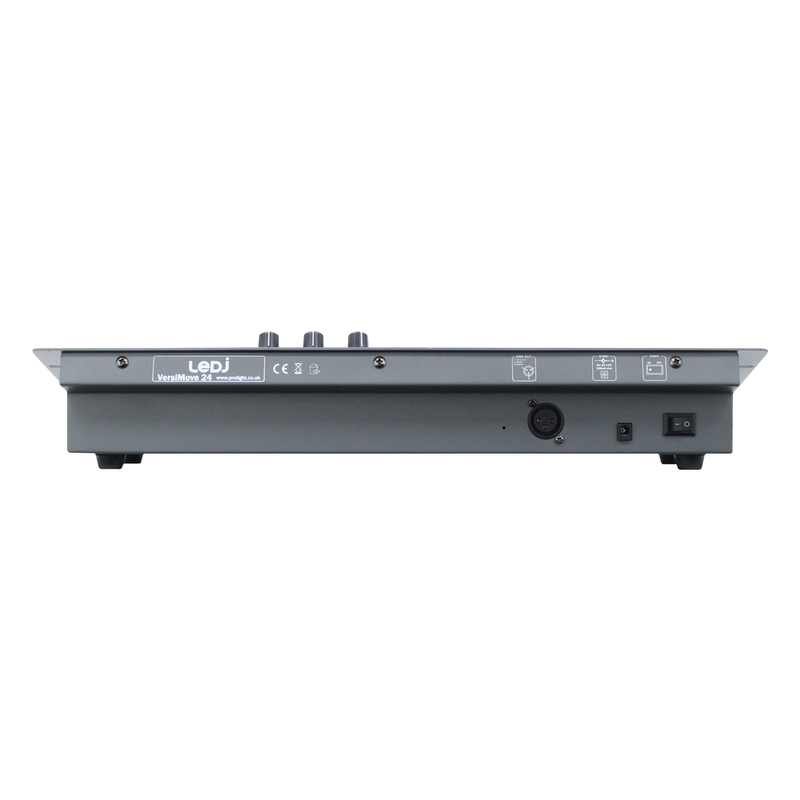 The DMX controller follows an intuitive layout using a combination of faders and rotary encoders together with a 2-line LCD display. 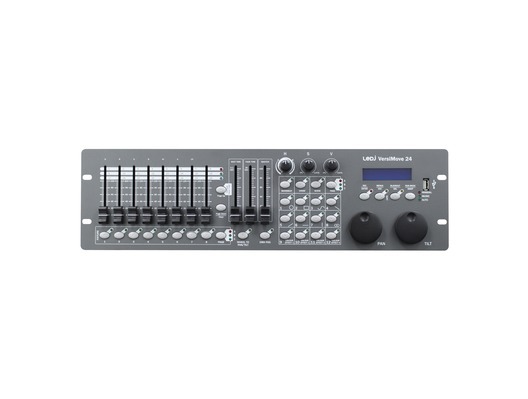 To speed up the programming process the VersiMove 24 features a built in shape generator and HSV/RGBWAUV colour mixing coupled with full channel assignment across each fixture allocating the channels to faders and encoders with dedicated functions.